Volunteers are needed for every task necessary to run a practice, race, or special event at T.R.A.C.K. 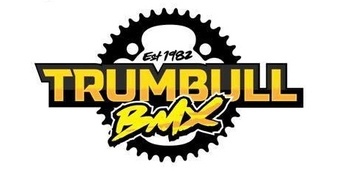 Trumbull BMX. Background checks are routinely performed and required by USA BMX and the town of Trumbull when volunteering at T.R.A.C.K. BMX. Everyone is good at something! We can help you find your best fit for volunteering. Track Opener/Closer and Maintenance: 5 pm - 6:30 pm, One to two people needed to open the track entrance, open the registration and concessions buildings, set out the loaner bikes, unlock the port-o-lets, set up the gate, and walk the track to sweep/clean off the track/remove any debris on the track surface, and repair any damage on track. 6:30 - 8:00 pm, One or Two people needed to monitor the track for any damage/debris on the track, and close up/lock the track at the end of practice. Registration: 5:30 pm - 7:45 pm, Two people needed to be the first point of contact with members and guests: sign in/enter riders into the lap top computer for practice, collect practice and other fees, work with cash, and credit cards, help members and guests complete membership paperwork, give riders wristbands, and provide information to members and guests. Cheerful, patient, kind, and responsible people only. You are the first impression to all who enter the track! Tech Inspector and Loaner Equipment Handler: 5:30 pm - 7:45 pm, Two to Four people needed to work in pairs, for 1 hour or so shifts, checking riders for wristbands, checking biking equipment and proper track attire, and sizing riders for loaner equipment and providing basic instructions on proper equipment use and riding safety. You may be asked to take a new person around the track once or twice so they get the hang of riding a BMX track for the first time. Looking for knowledgeable, kind, patient, and friendly people to fill these posts. Gate Operator: 6:00 pm - 7:45 pm, One to Two people needed to take turns to operate the gate drop system. This position is very simple, but probably one of the most important and requires careful attention and diligence, from only the most responsible of people, as improper operation can lead to serious damage to equipment and injury to our members and guests. This position can be likened to the "Lifeguard" position at your local beach or pool. Concessions: 5:30 - 7:30 pm, Two to Four People needed. Ideally it is best to have two people working together for one hour shifts. A Concessions Chairperson or two is also needed to buy drinks and snacks, plan baked goods drives, stock, clean and keep tidy the inside of the concession building, and immediately around the building. Rider Mentors: 6:00 pm - 7:45 pm, Two to Four Riders needed, to work one on one with new riders, intermittantly throughout a two hour practice. These people are riders who are aged 12 and older that like to help new riders just getting started. Everyone needs a friendly face and a helping hand when they first start out in BMX, these very special riders are knowledgeable, patient, and kind, and can provide helpful riding advice and paths to friendship on the track. Merchandising: 6:00 pm - 7:30 pm, One to Two People Needed, to set up and display any merchandise to sell. Merchandise is a great way to fundraise and advertise for the track. A Merchandise Chairperson or two is also needed to help create and procure merchandise. All the positions above are also needed during the shortened practice session (1 1/2 hours) before a Race Day Event. A Stager: One Person who holds the clipboard with all the races (Motos) and each Moto's respective riders names and other pertinent information. This Key person makes sure all the riders that are supposed to be in each Moto are correctly placed in their position before the race begins. The stager works closely with the Gate Operator, the Announcer, and the Scorers. An Announcer (or Two) that acts as the "Master of Ceremonies." This Individual(s) communicates with the Stager, and the Gate Operator, and Track Officials, and the Scorers. This person sets the tone and pace of the race, is informative and engaging! Track Officials: we need Three People to stand at vantage points on the track, watching the riders as they race. These individuals help riders that may fall, or help make judgement calls regarding the racing they see. These are attentive, unbiased and responsive individuals. Scorers: we need Three People (A head scorer to communicate with the stager and the announcer, and two back up scorers) to score the riders as they cross the finish line. Registration Person (Clerk) We need Four to Six People to learn the software and work in Pairs on a Race Day, to enter all the riders into the Race Manager Software, and to generate the races (motos) after the race registration period, and print out the race sheets needed for the race to begin. These people also need to learn how to perform real/time or after race scoring and reporting on the race manager software. These people need to be methodical, kind, patient and cheerful and work well under pressure. Trophy Room Distribution: Two to Three People to hand out awards to all riders who earned them after the race. This position also requires a cheerful and encouraging spirit, and patience in a quick-paced environment. Runners: Two People willing to "run" the completed score sheets after the main event from the Head Scorer to the Trophy Distribution people. Raffle Table and 50/50 Raffles: Two to Four People needed to help walk around and sell 50/50 tickets to guests throughout the facility, and/or sit at raffle tables when we have prizes to offer. Marketing and Social Media Team: Three to Six People behind the scenes who can help spread the word about T.R.A.C.K. BMX , and grow the sport through various social media and advertising platforms. Track and Facility Maintenance: Four to Ten People who can work in teams to maintain the landscape, track, and facility buildings. Fundraising: Two Chairpeople needed to organize various fundraisers, get volunteers to implement, to help support our program. Volunteer Chairperson needed to organize all the volunteer positions needed throughout the season. We will be looking to implement the 'ivolunteer' software program.